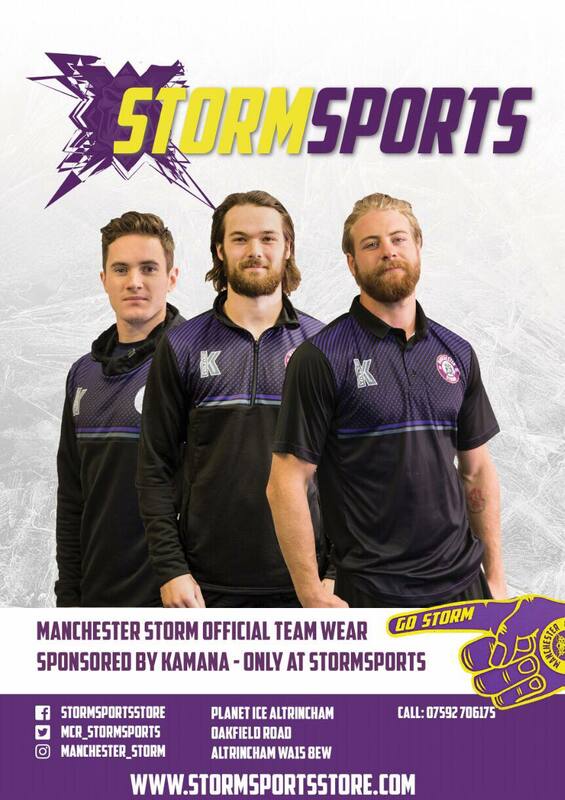 Manchester Storm are pleased to announce the details of their extremely popular “Own and Loan” scheme for the 2019/2020 EIHL season. Fans will have the opportunity to sponsor the Home, Away and Alternate jerseys, plus the Home and Away warm-up jerseys for the 2019/2020 EIHL season. Once you purchase your favourite player’s jersey and ‘loan’ it back to the club, the shirt will be worn throughout the regular season, until the handover ceremony at the end of the season, where it will be presented to you by the player. Why not have your name, your #Twitter username, your company name incorporated into your shirt of choice. Or simply buy it for a friend or family member as a special gift and surprise them with it as they first see their name on the back of the player of your choice. This season you will also receive a certificate of ownership signed by the player to compliment your end of season handover photo which will be available on Storm social media. If your chosen player is selected for “Shirt Off The Back”, we will use your jersey for the first 2 periods of that game, before being swapped for a new jersey, for the 3rd period and presented to the winner of the competition. The successful applicant will be sent an invoice to their email address and immediate payment.